Elinor Grieve of Eli's Art will be one of the exhibitors. Buchanhaven Heritage Society is to host a major art exhibition later this year - the largest exhibition to be held at the auld schoolie to-date. The exhibition will take place over two days on May 27 and 28 and will feature local artists, along with colleagues from across the region. This will be one of the largest such events to be held at the centre and as well as beautiful works of art on display, local folk will also be able to see local artist George Strachan demonstrate his artistic skills on both days. George is a well-known local artist and he enthralled visitors at the last art exhibition which was held some four years ago. The event is also being advertised on the Visit Scotland website, so with their support it has the makings of a great weekend for art lovers from across the country. 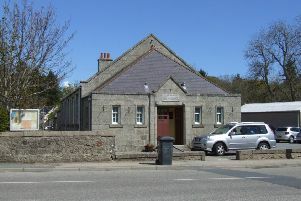 Buchanhaven Heritage Centre is well known for its support of art, craft and performing arts events and will continue to support such activities as part of its long-term programme of work. This also means all levels of ability can interact and learn from each other, which in turn enhances the learning experience the centre continues to encourage. As ever, teas/coffees and homebakes will be available on both days so visitors can enjoy the event in a relaxed atmosphere. Commenting on the event, society chair, Alex Geddes, said: “ We are delighted to host such an event again and the response from across the region has been amazing. “The support of Visit Scotland in advertising the event to the wider audience is also very much appreciated. “If it is as successful as the last event then this may well become an annual fixture in our events calendar.